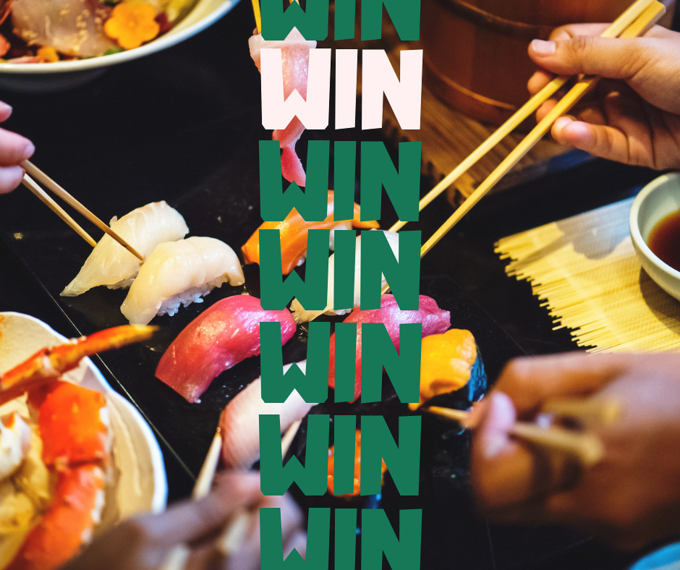 The lucky winner can enjoy two main meals for free at the Japanese restaurant. Photo by Raw Pixel. Whether you're a sushi connoiseur or you're fresh to the world of Japanese food, Sakushi on Campo Lane has something for everyone. From Japanese-style tapas, where you can sample a whole range of different traditional dishes without the commitment of a larger portion, to tempura, to the main-attraction sushi, Sheffield's Best Japanese Restaurant in 2018 (as awarded by Social Sheffield) has you covered. And this month, we want you to get out and to see what all the fuss is about. Not sure what to expect? Stay tuned for an Alive After Five introduction to Japanese cuisine at Sakushi. But for now, why not enter our latest competition over on Facebook to win two main meals from the rice and noodle section? Simply comment on the post tagging someone who has never tried sushi or Japanese food before (and needs to!) - it's that simple. We'll then choose a winner at random. The small print: Competition closes on Thursday 22 November at 6pm. Users must be following Alive After Five and Sakushi to be eligible. For further information on competitions at Alive After Five, click here.